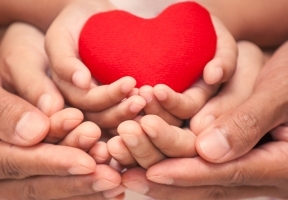 February is the month of love, but it is also American Heart Month. Heart disease is the leading killer of Americans, taking the lives of 2,200 people each day. In addition, 103 million adults have high blood pressure and 6.5 million are living with heart failure. While genetic factors do play a part in cardiovascular disease, the good news is 80 percent of cardiovascular diseases may be preventable with education and action. Simple lifestyle changes can make a big impact when it comes to heart health. 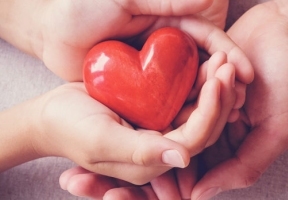 Show your heart some love with these tips. Quitting smoking is the best thing that can be done for the heart and for overall health. Smoking is the most preventable cause of premature death in the United States, and smokers have a higher risk of developing many chronic disorders, including atherosclerosis, or the buildup of fatty substances in the arteries. When combined with other heart disease risk factors, smoking increases the risks associated with those factors. Strength training compliments cardiovascular exercise by toning muscles and burning fat. In addition, proper strength training can improve daily functional movements, decreasing the chance of injury. The American Heart Association recommends getting in two days of moderate to high-intensity strength training each week. Sleeping restores the body, helps decrease stress and increases overall happiness. To reap the full benefits, clocking seven hours each night is key. A calming bedtime routine and going to bed and waking at the same time each day are all great ways to establish healthy sleep patterns. Getting ample sunshine and physical activity throughout the day also aid in improving sleep quality. To reap the full benefits of a heart-healthy diet, it’s important to limit intake of nutrient-poor junk foods. Added sugars, saturated fat and excessive sodium can all negatively impact heart health, as well as overall physical health. These foods, when eaten in excess, can cause weight gain, raise blood pressure and clog arteries, which are all risk factors for heart disease.